Buying property direct from the owner offers certain benefits to both buyers and sellers. Going it alone can seem a brave move, but ultimately can save you both money and time. If you are a buyer and you've spotted an advert for a property you like, you want straightforward, accurate information about the property, and you want lots of it. If you're speaking to an estate agent, you may or may not get this. It depends on how well the agent has done his (or her) job. Some agents may even be doing their best, but haven't yet had time to visit the property so could be acting on second hand information. The owner, however, is uniquely placed to tell you everything you want to know. Having lived in the property, he will know all the ins and outs and should be able to give you really clear and accurate answers to your questions. While estate agents are keen to sell the properties on their books, their priorities may lie more with some properties than others. Because their commission is calculated on a percentage basis, they may put more effort into marketing the pricier properties. But if you are looking for something on the cheaper side you could find it takes a little longer to get their attention. Buying from a private seller means that this will never be the case. A private seller is focused purely on selling his property, and he will pull out all the stops to answer your questions and arrange your viewings. He will also have an in depth knowledge of the area (he's been living there after all!) which an agent may not have. You'll get an insider's guide to the town, recommendations for the best restaurants and attractions. Many agents cover a wide area, and simply don't have this kind of local information at their fingertips. Buying? Browsing French Property Links gives you virtual viewing! Buyers can now enjoy almost virtual visits to properties just by clicking on French Property Links (FPL) adverts. As sellers can add up to 100 photos (all of which can be supersized to large images to give amazing detail) it's almost as good as being there yourself. So you can get a really good idea of whether or not the property is for you before you invest time and money in a trip to France. 2018 brings you some stunning properties. Take a look now. Just choose your region, department or town, or use the Search button to look for your French dream home. This is the year to find a bargain, and it will be even more of a bargain without agency fees to pay on top. If you're not sure whereabouts in France you want to buy, or need some ideas as to the type of property you are seeking, why not browse some of our properties below for a little inspiration? There are so many possibilities all over France. And prices to suit all pockets too. 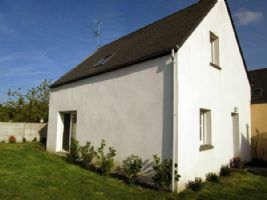 Charming, recently-built house in Ploumagoar. Train station (TGV) 10 minutes away, town centre 13 minutes away. Located in a quiet area, at the end of a cul de sac. Ideal for a family with children. As new and comprising of 4 bedrooms, living room, dining room and kitchen open to the living room. Garage and garden 321m2 with tiled terrace. Schools & Roudourou Stadium 10 minutes away & sea 25 minutes away. Available immediately. 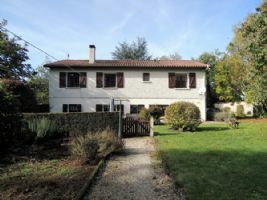 4 bedroomed detached house, built on a basement, ideally situated near the N10, 50km from Poitiers and Angouleme. In good condition throughout with an attractive garden surrounding the property, driveway with room for several cars, purpose built covered barbeque/recreational area ideal for relaxing and entertaining. Potential for additional income by renting out the basement. 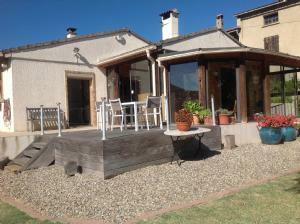 Renovated stone farmhouse with more than 170m2 of living space on 11,000m2 of land. Includes a 28m2 fitted kitchen + fireplace, laundry room (former stables), boiler room, 45m2 workshop, 35m2 bright & airy living room + fireplace, 18m2 mezzanine, bedroom/study/games room of 27.5m2, 2 bedrooms (11m2 & 10m2), 7m2 dressing room, bathroom & 2 WCs. 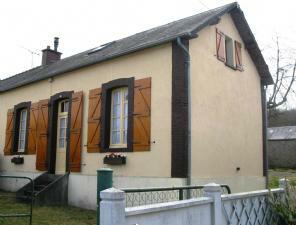 27m2 outbuilding with shower room & wc (suitable as a gite or bedroom). Oil fired central heating. 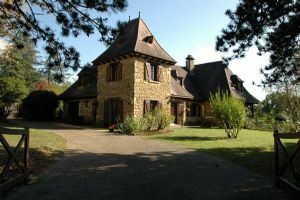 8 mins from centre of Yssingeaux with all amenities. 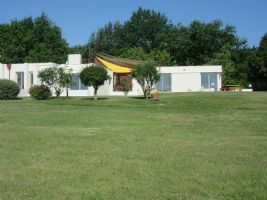 122m2 living space on 1000m2 of land with good broadband connection. Taxe Fonciere - €1368 per year. Mains water and mains drainage. Heating – Town gas. Double Glazing of windows & doors throughout. Large garage with workshop. 8.5 x 4 metre low maintenance fibreglass salt water pool. 1 hour to skiing and 1.5 hours to coast or Spanish border. Air conditioning to two bedrooms and lounge. 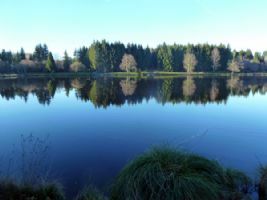 On the edge of the river, this vast 500m2 property has been completely renovated & sits on 1800m2 of enclosed land with trees. 80m2 outbuilding. 2 terraces, heated pool (with rolling shutter), relaxtion area with sauna, Jacuzzi, solarium & shower. Living room of 70m2 opening onto the terrace, fireplace, recently fitted kitchen, 5 bedrooms, 2 bathrooms, hallway with fireplace, games room, summer kitchen, laundry, cellar & storage. Heat pump for heating, automatic garden watering & mowing. 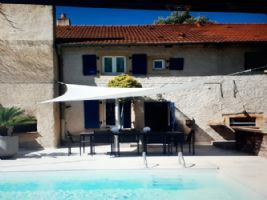 La Blanquette consists of a large Perigourdine house with three guest houses in the grounds. The main house has 2 staircases & has previously been run as a very successful B&B. The main house is a beautiful Perigourdine stone house with 5 bedrooms, 5 bathrooms, 4 reception rooms, 2 kitchens, a utility, a wc, a study, a cellar, a large terrace & lovely gardens. The entire property has been renovated within the last 6 years & is finished to a high standard with quality fixtures & fittings. 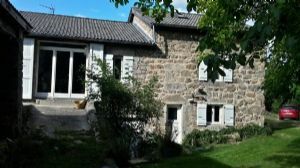 Thinking of Selling your French Property Privately?